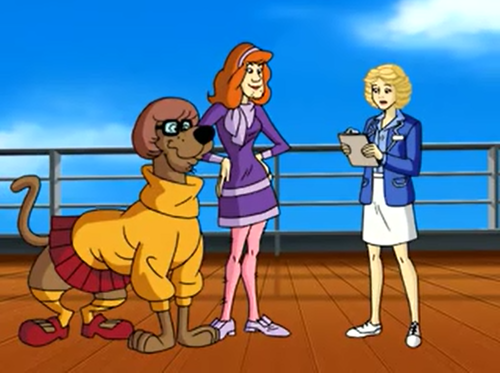 Shaggy and Scooby as Daphne and Velma. Y'know, I'd like to know just who else on that guest list even COULD go as the girls...*suspicious face*. HD Wallpaper and background images in the Scooby-Doo club tagged: scooby-doo shaggy velma daphne. 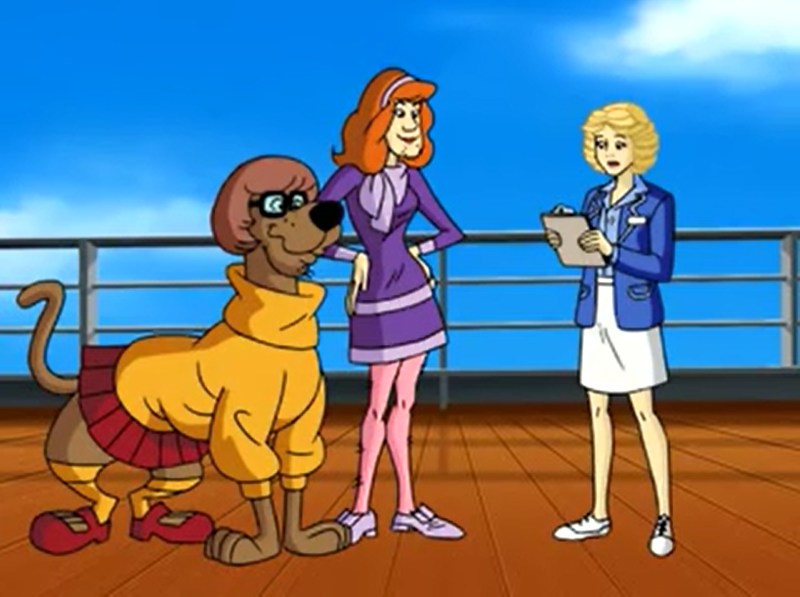 This Scooby-Doo photo contains 애니메이션, 만화, and 만화책.